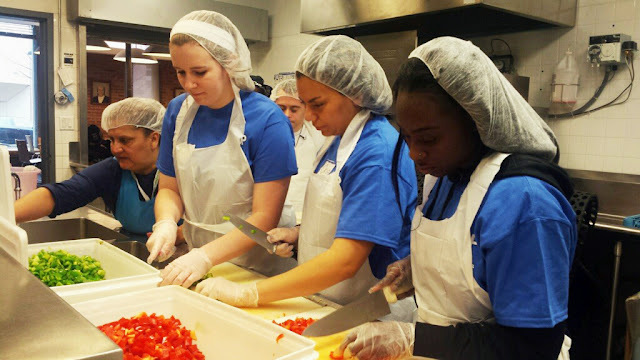 A group of students from the University of Illinois Springfield is spending their spring break helping to fight hunger and homelessness in New York City as part of Alternative Spring Break (ASB). A total of 26 students and 2 staff members left Springfield on Saturday, March 12 and will return to campus on Saturday, March 19. The group is partnering with the Youth Services Opportunities Project and is volunteering at soup kitchens and related service agencies. While in New York City, students are sleeping on cots in a gym at Jan Hus Presbyterian Church near Central Park. The UIS Alternative Spring Break student organization was formed in 2009 when students took their first trip to Louisiana to help build homes for Habitat for Humanity following Hurricane Katrina. In following years, students have helped clean up damage from Hurricane Ike in Texas, cleaned up portions of the Mississippi river in Tennessee, helped rebuild homes damaged by hurricanes in New Orleans, helped with revitalization efforts in the Florida Everglades and worked with the homeless at soup kitchens in Washington, D.C. Last year, students helped with early childhood education and ecological sustainability projects in Biloxi, Mississippi. For more information on Alternative Spring Break, contact Mark Dochterman, director of the UIS Volunteer and Civic Engagement Center at mdoch2@uis.edu.